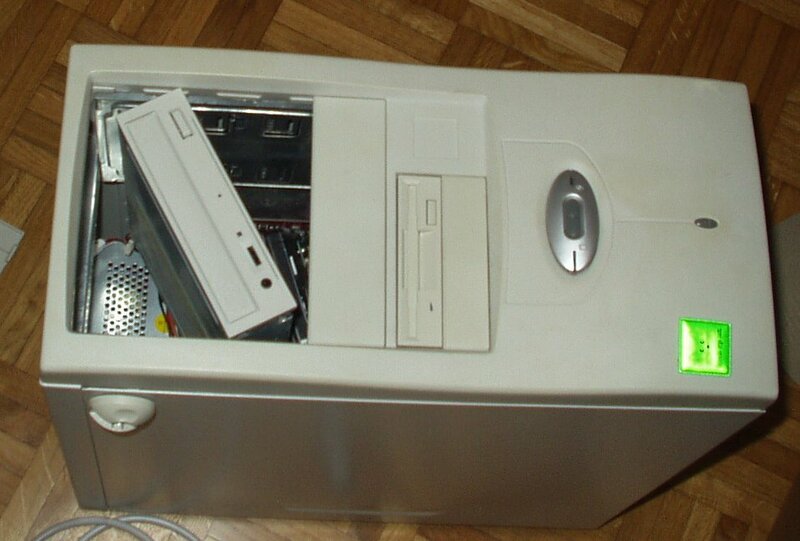 Man, my computer server really got bashed in the mail, even though it had thick bubble wrap plus a thick surrounding layer of styrofoam peanuts. The DVD drive you see in there started out properly orthogonal, and it is held that way with metal tabs inside the computer. To bend it diagonally like this, the metal tabs inside had to bind.... and sure enough, when I looked inside, they had. It was hard yanking it back into the proper configuration again. I hope it still works! What were the mailmen doing to be so rough? Did they put a piano on top of my boxes? And then jump on them?